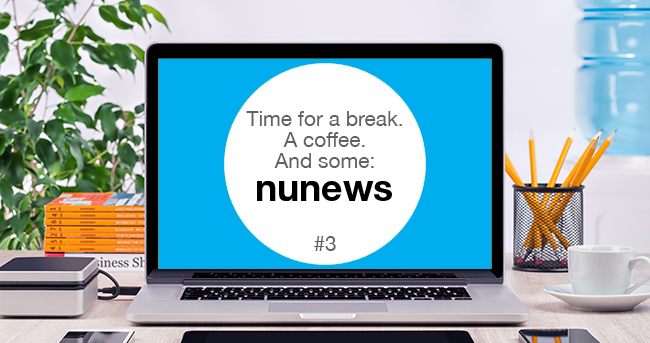 Firstly a warm welcome to the latest edition of NuNews. We are introducing a new section called ‘NuTech’ which will update you on technical changes, upgrades and general technology news, this will be by provided by Nuvola’s Operations Director Nigel Emerson. Nigel is responsible for the engineering and the operations team, who are here to support you with any questions or queries you may have, please do feel free to contact them on support@nuvoladistribution.com. In this issue I have been considering how we can offer best value and service to our reseller partners and in turn their customers. It is fundamental that to provide true Unified Communications solutions to customer issues that their business needs and requirements have to be understood. Then we can guide them towards new ways of utilising the UC applications that we both know so well. To truly implement the benefits of UC there is a need to investigate a customer’s business model and operations function. It is true to say that this is also something that Nuvola has recently embarked upon as we adopt and use the technology that we ourselves provide to partner resellers, in other words, we like to eat our own cooking! I believe we need to move from using the latest buzzwords and add some real value that customers can see, use and measure from their investment in UC. To just provide all the features, does not mean that the customer will utilise these and so there’s a need to understand the requirement, provide the solution, and then support the customer to implement. This is especially true in todays’ fast moving and evolving work environment with dispersed and multi-skilled workforces. Therefore on this note if you have a requirement to further upskill your work force, develop a deeper knowledge of your existing products or simply would like to review you portfolio of solutions, then please feel free to contact me or the team ant anytime. Nigel Emerson, Operations Director, Nuvola Distribution Ltd.
Over the past 6 months, we’ve spoken to our customers about the importance of payment flexibility and where it fits within their business. From the results of our discussion and investigation into financing, we’ve decided to launch NuFinance. NuFinance offers your customers a lease finance agreement which you will be pleased to learn allows you to gain all of your commission up front. To find out more, click to read our 2 page PDF. We are very pleased to announce that Nuvola Distribution have been selected as finalists for not only one but two awards by CRN and Comms Dealer! We have been nominated for the award of ‘Services Distributor of the Year’ and ‘Best Convergence Distributor’ respectively. Comms Dealer stated ‘this has been our biggest ever entry’. The awards will be announced by Comms Dealer on the 13th October at the Hilton Park Lane and CRN awards will take place on the 17th November at the Battersea Park events arena – Michael Lloyd CEO of Nuvola Distribution (now merged with Nuage Communications) stated ‘We are ecstatic to be in the finals for both these prestigious awards and there is no doubt this is due to the efforts and determination of our great team at Nuvola’. Take a deeper look at our press release here. JPL – a leader in manufacturing headsets for organisations has joined the Nuvola family. We’re excited to have them on board and just like the rest of the Nuvola portfolio, they help in completing a full UC solution offering for your customers. Vurella, a UK based software development company have already worked with Nuvola in providing solutions with our Nuvem Hosted UC offering, which is built on Alcatel Lucent OpenTouch technology. With both on-premise and hosted Voice recording and Wallboard solutions Vurella in co-operation with Nuvola will provide a comprehensive voice and video solution. Vurella specialises in developing and building solutions around the main telephony vendors’ products that assist telecom resellers to augment their voice portfolio to include intelligent video and software features to help them stand out from their competitors. We are very excited by this opportunity of working with Vurella again, to offer our partners the ability to provide customers unique value and a real solution in the voice and video channel. Take a look at the vRecord datasheet. Shoretel have gone fully GA with Connect and it is deployable as a new install or now you can upgrade your current system to Connect. The upgrade patch is direct from 13 or 14 other releases you will have to perform a stepped upgrade. Instructions can be found here. Alcatel are looking at a new cloud product which gives IM and presence in a multi vendor PBX environment…watch this space more information to follow..
New features in the latest Talari releases for their Devices and Management functionality.